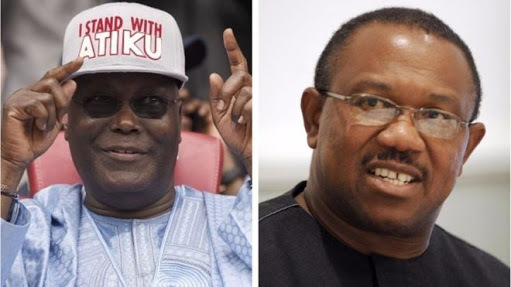 The Director General of the Atiku Abubakar Presidential Campaign Organisation, Otunba Gbenga Daniel yesterday gave reasons why former Anambra State governor, Peter Obi, was picked as the running mate to the presidential candidate of the Peoples Democratic Party (PDP), Alhaji Atiku Abubakar. Obi’s choice was largely influenced by his youthfulness, vast knowledge of global and local economics as well as being a financial expert, all experience which Nigeria is in great need of at this point in time. “This ticket will be able to steer our nation back on the path of progress, economic prosperity and unity,” Daniel said. In line with its pre-primary election zoning formula, Atiku yesterday picked ex-Governor Peter Obi as his running mate for the 2019 presidential election. With the development, the party has returned to the winning formula of the defunct National Party of Nigeria from 1979 to 1983 in which ex-President Shehu Shagari paired with the late former Vice President Alex Ekwueme. PDP’s zoning of the VP slot to the South East was allegedly designed to woo the Igbo who had been complaining of marginalization. Since the conclusion of PDP presidential primaries, party leaders have narrowed the choice of vice presidential candidate to the South-West and the South-East. Already, the PDP has given a copy of the nomination form to Obi to fill with the ex-governor having audience with Atiku at about 5 pm yesterday. It was also gathered that a South-South governor may be appointed as the Director-General of the Presidential Campaign Organisation of the PDP. A top PDP source told The Nation that: “Earlier on Monday, the PDP presented guidelines to Atiku and eventually, it was agreed that ex-Governor Peter Obi fits into the criteria set out. “The concession of the slot to the South-East was also in line with the wish of Atiku. “In its power sharing formula, the PDP had conceded the VP slot to the South-East and reneging on the agreement would have been fatal for the party in 2019. “Apart from being a prudent leader, Obi has rich experience in the private and public sectors which will help him manage the nation’s economy as the Chairman of the National Economic Council (NEC). “The banking sector, which is the mainstay of the nation’s economy, will have a new lease of life with Obi in charge.."